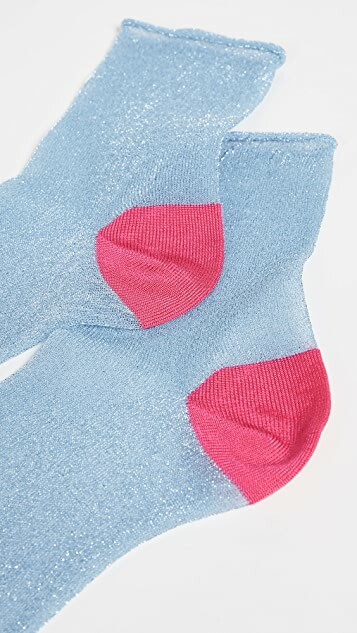 Standing out with bright colorblocking are hints of metallic sparkle, these lightweight Hysteria socks are an instant mood boost. Get ready to fall in love with your sock drawer. (Seriously!) Playful-luxe Hysteria hosiery arrived on the scene from a brand named, very appropriately, Happy Socks. 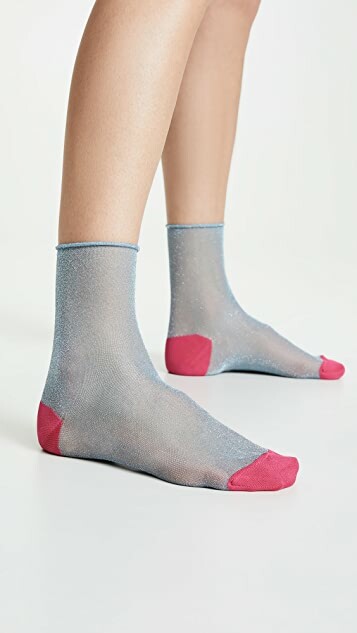 Known for its sheer mesh pairs that come in all colors of the Technicolor rainbow, Hysteria crafts delicate, elegant socks that you WANT to show off—the brighter, the better. 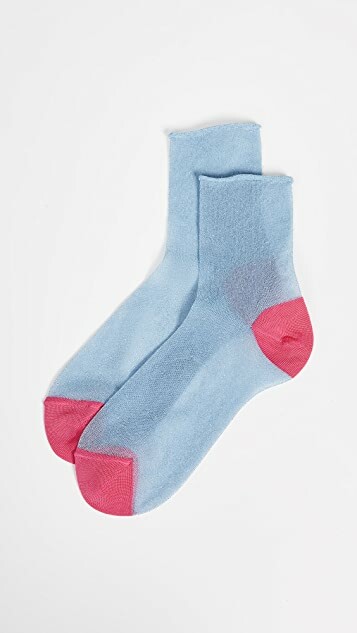 So when you’re looking for a wardrobe pick-me-up or just a happy little love note to send yourself throughout the day, reach for a pair of Hysteria socks—and consider your mission accomplished.